We've said time and time again how important visuals are when it comes to social media these days. Instagram is proof of that, the picture-sharing app is doing better than ever with over 300 million users and 70 million photos and videos shared each day. At 4.21%, Instagram's engagement is higher than engagement on both Facebook and Twitter. "Instagram posts, however, generated a per-follower engagement rate of 4.21 percent. That means the app delivered brands 58 times more engagement per follower than Facebook and 120 times more engagement per follower than Twitter," according to stats on Sprout Social. If you didn't know, now you know... Instagram is the place to be for brands and optimum engagement. So how do you stand out from the rest? We've done some work so you don't have to. Here is an excellent list of free apps to enhance your photos and videos to help you stand out on Instagram. PicStitch is one of the most popular "picture-stitching" apps around. Instagram has recently made a new app called Layout that does the same thing. The major difference being that Instagram's app combines pictures without framing each individual photo with block-ish lines. 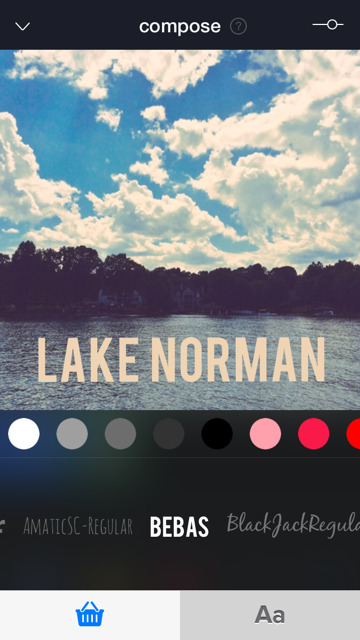 PicStitch does have more options as far as sizing and editing each individual photo. They both are easy to use and it's really a matter of personal preference. PicStitch is on the left and Layout for Instagram is on the right. Repost is a great app that will help you share other Instagram photos to your account. It's a great way to give credit where it's due. It's also a great way to share photo's that customers upload of your product, their participation in your contest, or what have you. The app directly links to your Instagram account and gives you options on placement and color of the credited account. 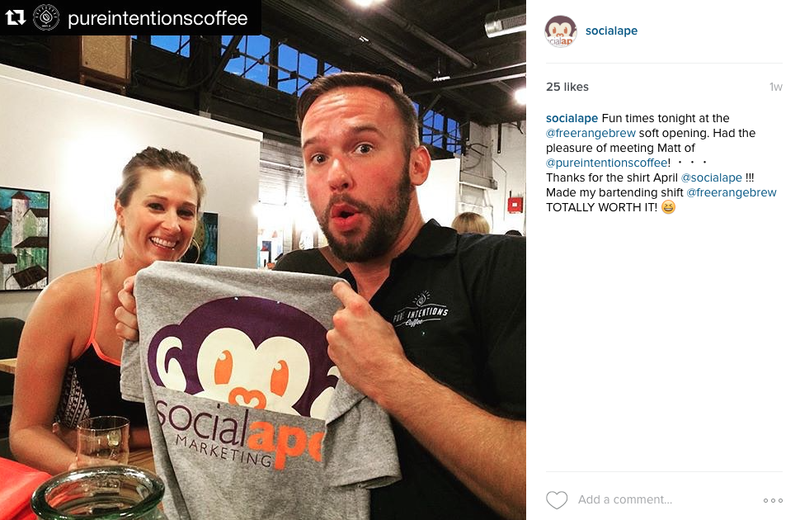 We used the Repost app to share an Instagram from Pure Intentions Coffee's account. Aviary is a great photo-editing app. Very high quality, lots of filter options, etc. I have several photo-editing apps downloaded, but I use Aviary the most. It gets the job done. Hyperlapse is a really cool app that allows you take a video and change the speed of it, to slow or fast. It has a front-facing camera, as well. It doesn't have any filters, which would be a great feature; but Instagram does have a few filters for video on the app. It's a ton of fun to play around with and you can share your videos directly to Instagram hassle-free. Kanvas is an app that allows you to do all sorts of cool stuff. It's directly linked with Tumblr, Flicker, your phone's photos, and a few other photo platforms that basically let you choose from any photo you could possibly want. I use the app primarily to add text over photos. It has a lot of great fonts, colors, and options as far as text is concerned. It's also great for making pictures with quotes that are automatically sized-to-fit Instagram. Adding text over an image is one of many cool things Kanvas offers. Take Instagram a step further and check out Iconosquare, a must have analytics tool. All you have to do is log-in with an Instagram account and it lets you view posts, comments, messages, etc. Click Statistics at the top of the page and in 5-10 minutes you will receive an email with a report based on your Instagram activity and suggestions for optimizing it. It has other cool features like contests in your area, help for your own contests, help promoting your Instagram, etc. Want to share a GIF? Check out our previous blog about adding GIFs to Instagram!